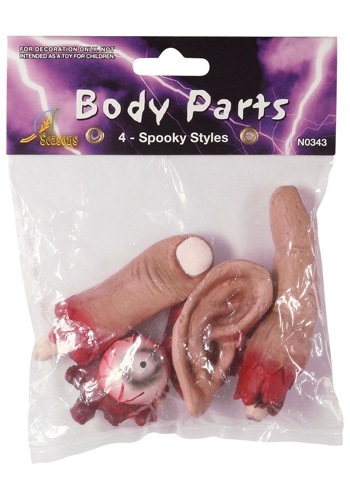 body parts ideas for the 2015 Halloween costume season. Includes 1 Head in Laboratory Jar. 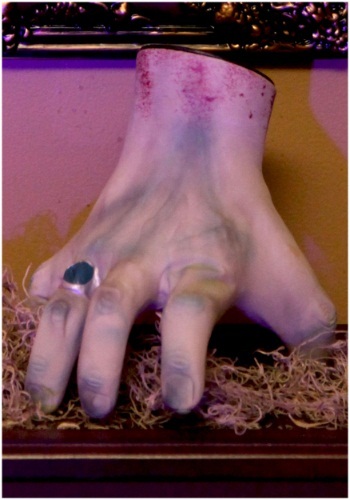 Includes (1) light up zombie hand. 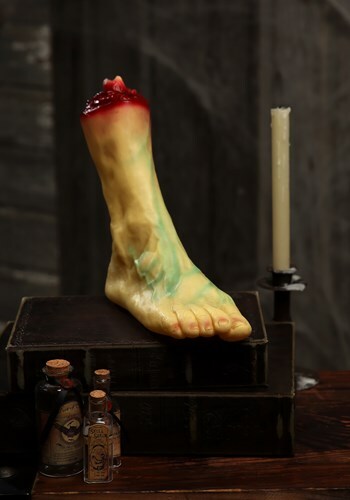 Includes (1) severed leg prop. Includes (1) brain in a jar. 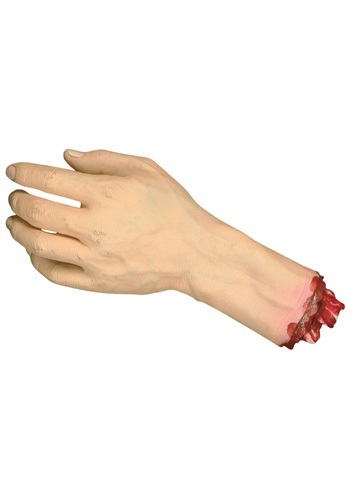 Made of plastic with a plastic chain attached.